These suggestions are specific for speakers crafting a 5-minute Ignite Zurich talk – and equally useful for creating compelling content to satisfy an audience’s desire to know “why should I care?” and “what’s at stake?” if they give you their full attention. “And what mindset is that?” This is easy if you remember an Ignite talk is never, ever, about you. An Ignite talk can be about rising Antarctica or the lost Zamboni or anything in between. But it’s not about you. Which means if it’s not about you, it’s purely persuasive mind candy for your audience. The mindset you want to have isn’t hard to define. Since you’ve likely been to an Ignite event before, you met people a lot like yourself: engaging, curious, likeable, well read, open to the unusual or the mundane idea – as long as it comes from someone who truly loves the subject, no matter how strange. Think about what you like or dislike the most in Ignite talks you’ve seen or watched on our social media channels. Satisfy that critic and you will satisfy the audience who have come to see you and other speakers perform on stage. What do you want people to walk away with? What do you want them to do after hearing your talk? 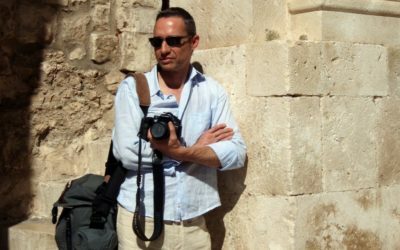 For example, if you are passionate about, “Minimalism,” show listeners what it’s like to live life with less baggage, motivate them to stop acquiring stuff and inspire them to sell, give away or bin superfluous stuff. We suggest Ignite speakers not to lose time reinventing the wheel. Binge out on previous Ignite talks. Personally, I find Ignite Boulder talks rock. Or watch popular TED talks or listen to The Moth podcasts. You’ll notice the best talks share an interesting idea in story form, weaving a little bit of the speakers’s biography into the subject. But we only want to know a little about a speaker. An Ignite talk is NOT about you; it’s about the idea, made personal through you. Dan Ariely’s: Are We In Control of Our Own Decisions? F. Write your SCRIPT and speak it out (record a selfie video). A. Know your audience. Know them better than they know themselves. B. Choose one strong idea that you live and breath that will resonate with this audience. C. Clearly communicate “why they should care” and “what’s at stake?”. D. Outline your talk (word count 500-700 = approx. 5 minutes). E. Create 20 blank slides and paste 15 seconds of talk onto each slide. F. Speak the talk slide by slide until it’s exactly 5 minutes. G. Choose single bold images for each slide with absolute minimal texts. 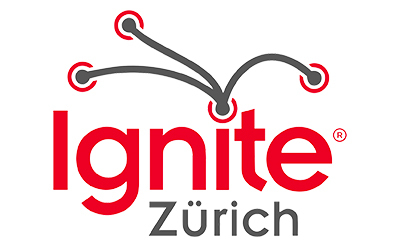 Go to Ignite Zurich website and fill out “LET ME SPEAK” application form. OR attend an upcoming Ignite Zurich show and see how your (next) talk compares to those featured that evening. Be sure to grab my arm after the show and introduce yourself.